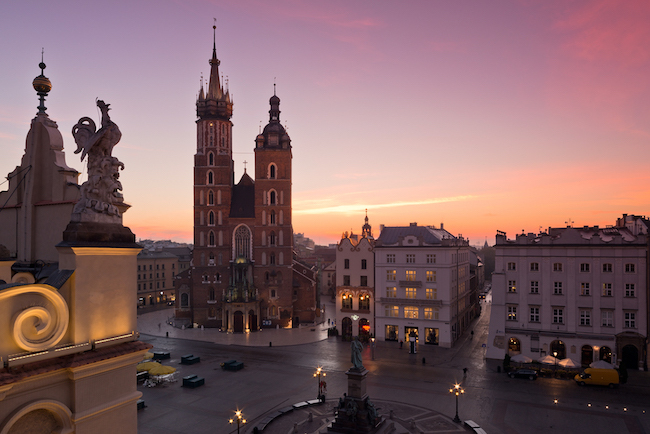 Medical Education Forum will take place in one of Europe’s great cities – Kraków, Poland. Here are just a few of the main attractions to help plan your stay. There are links to additional resources, including some restaurant suggestions, at the bottom of the page. The Wawel Castle is the crown jewel of Kraków’s architectural treasures. It’s one of Europe’s finest examples of Renaissance architecture and is open for visitors to wander the grounds or view the valuable works of art and antique furniture. The official website with visitor information can be found here: wawel.krakow.pl/en. The gothic St Mary’s Basilica situated in the old Town Square was built in the 14th century. The main attraction is the world’s greatest wooden altar. St Mary’s church is also well known for its trumpet-call, played every hour from the top of the main spire. The official website with visitor information can be found here: mariacki.com/en. 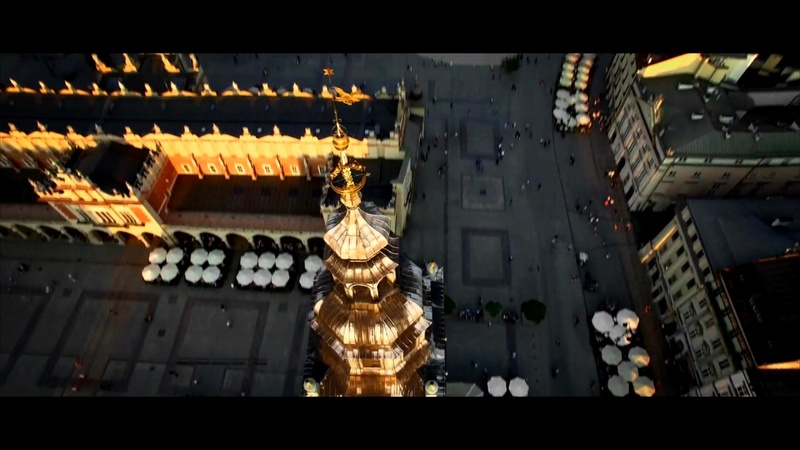 The Town Square (Rynek), situated at the heart of Kraków’s Old Town, is included on the UNESCO list of World Heritage Sites. Known as one of the largest medieval town squares in Europe, it’s the natural heart of the city and a good starting point to orientate yourself. Situated at the heart of the Main Market Square, this renaissance building is one of the city’s most recognizable structures. During its golden age in the 15th century, Sukiennice was a major centre of international trade. That history of trade is still evidenced by the main hall that runs through the building where you can buy great souvenirs, including Kraków’s famous amber jewelry. Don’t miss the underground museum, which reveals Kraków’s past in a state-of-the-art multimedia exhibit. You’ll experience medieval life in Kraków’s Old Town and the significance it has for the city today. This district was the centre of Jewish cultural life in Kraków for over 500 years before being destroyed during World War II. It is a popular pilgrimage site, which has led to the return of contemporary Jewish culture in the area. The former Jewish square, now known as Plac Nowy, is the natural centre of the district and a great place to start exploring. Kazimierz is also known for great restaurants and a unique night life. The Schindler’s Factory Museum is a popular tour (mhk.pl/branches/oskar-schindlers-factory). 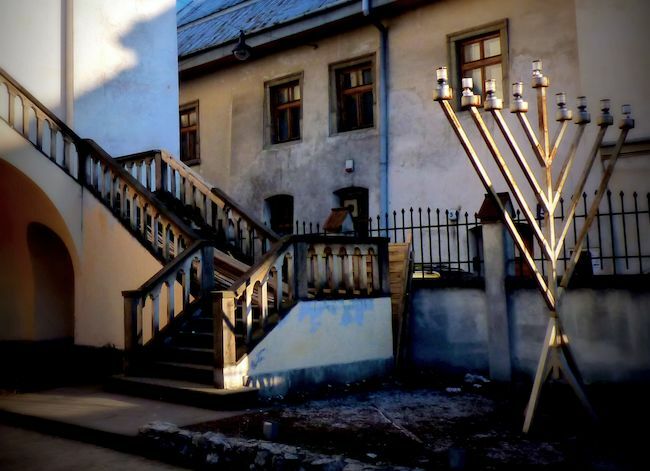 You may notice that Steven Spielberg’s movie, Schindler’s List, was shot in 1993 almost entirely in Kazimierz. Built in the 13th century, the Wieliczka Salt Mine is one of the world’s oldest salt mines still in operation. Now a museum that attracts about 1.2 million visitors annually, the mines feature a breathtaking labyrinth of chambers, three chapels and an entire cathedral that has been carved out of the rock salt. The microclimate of the mine (with a constant temperature of about 14 degrees Celsius) is said to have a beneficial impact on visitors who suffer from asthma and allergies. The official website with visitor information can be found here: wieliczka-saltmine.com.